Bonita Bay is a 2,400-acre, master planned, gated, member-owned community. More than 1,400 acres are devoted to coexisting with nature – from the scenic open space, expansive nature-preserves, hundreds of lakes, lush, tropical landscaping, miles of biking and walking paths and waterfront parks. The Bonita Bay community has 56 neighborhoods – from coach homes, to single family and villas, to high-rise luxury tower residences. Through the member-owned Bonita Bay Club, residents can enjoy 90 holes of championship golf, 18 Har-Tru® tennis courts, a newly renovated 10,000 square foot fitness center and spa, and a magnificent new clubhouse offers dining options that range from casual, open-air to intimate and formal. The full-service Bonita Bay Marina offers direct access to the Gulf of Mexico via Imperial River and Estero Bay, with wet slips, dry storage, a ships store and other amenities. The Bonita Bay Community Association also offers a vast array of program and activities for residents. 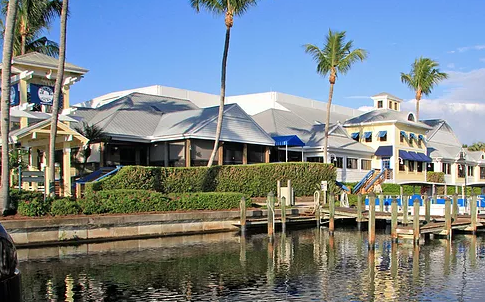 Amenities include pools, tennis center, a Beach Club on Bonita Beach, and a full service marina with wet slips, dry storage and direct access to the Gulf of Mexico, as well as Backwater Jack's restaurant.